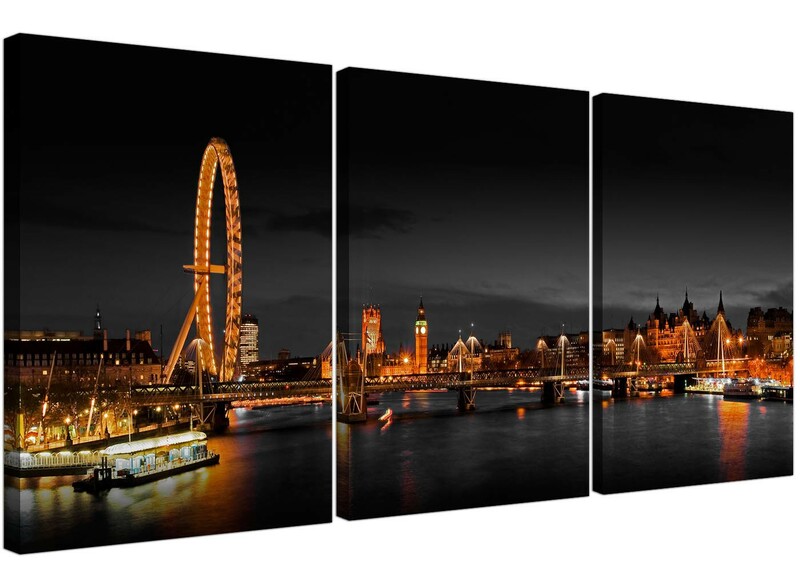 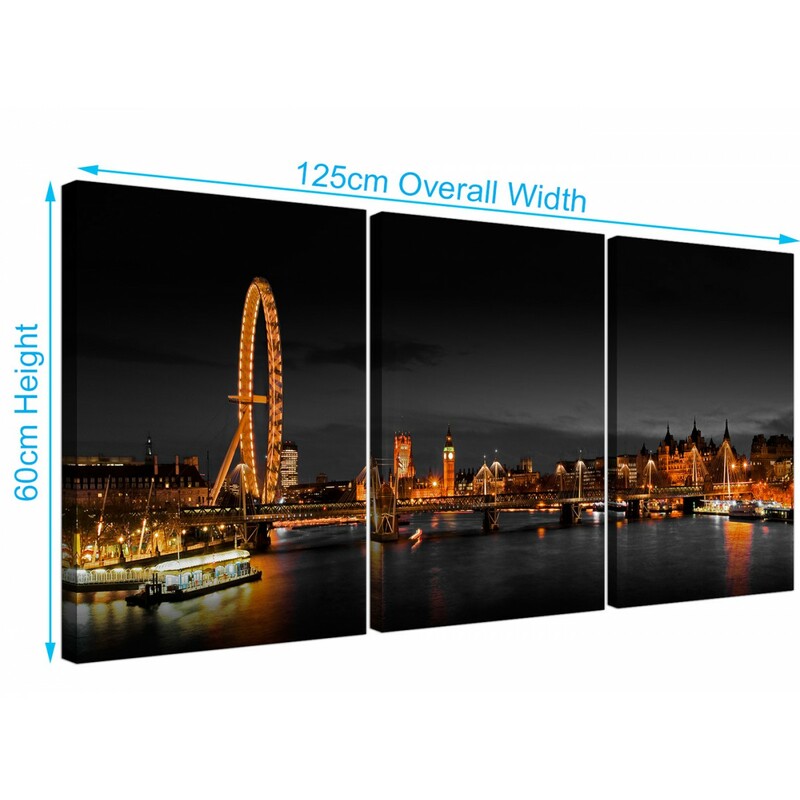 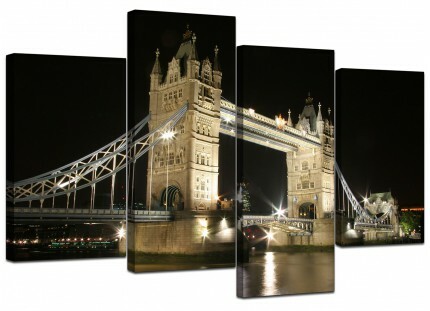 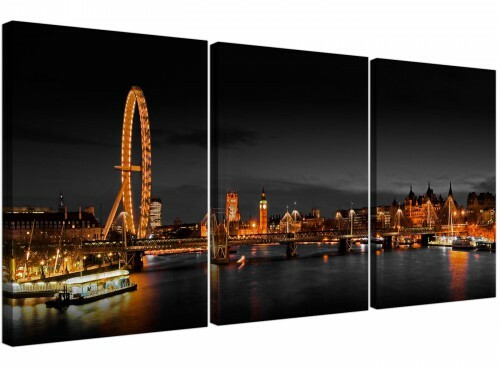 Cheap canvas pictures of a night time London scene with iconic London landmarks. 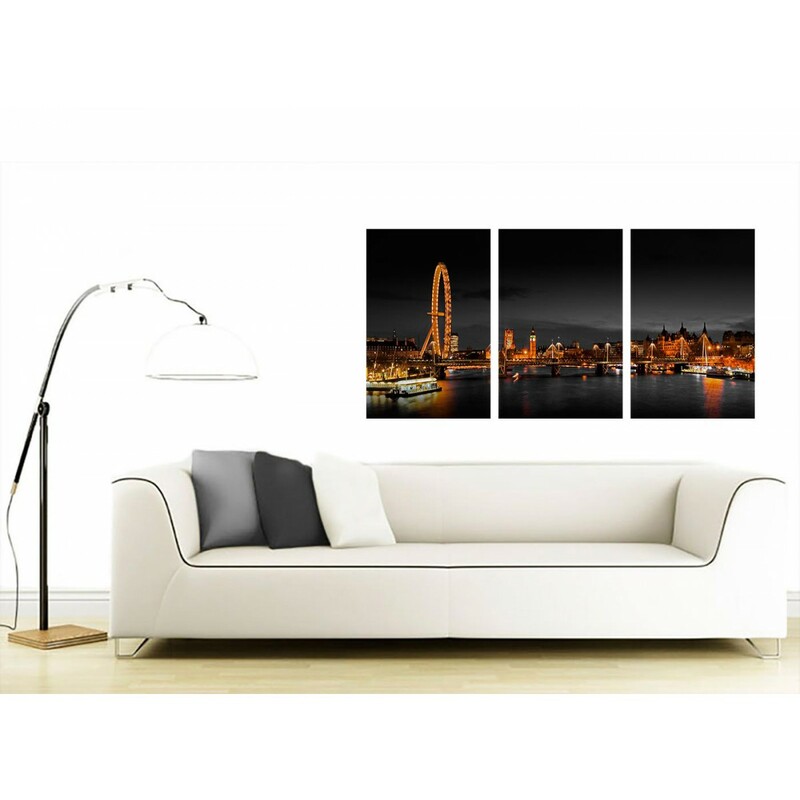 A huge black & white trendy set of three piece prints. 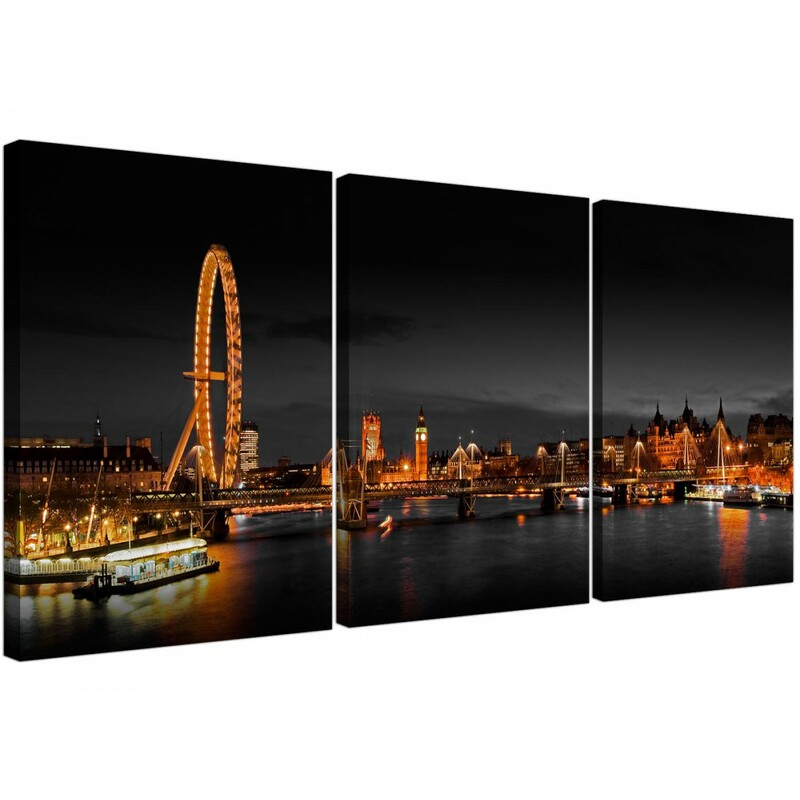 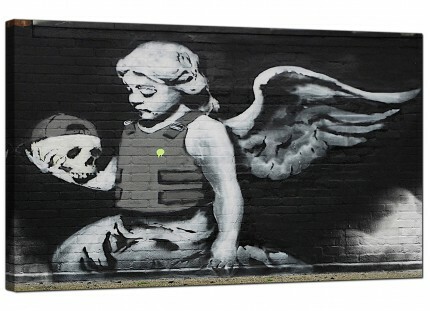 The United Kingdom's best loved canvas print studio. 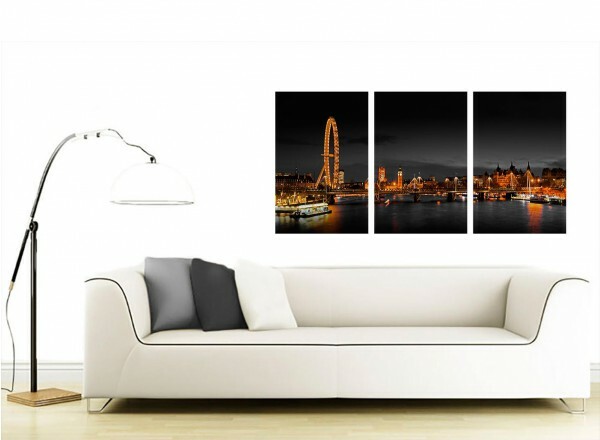 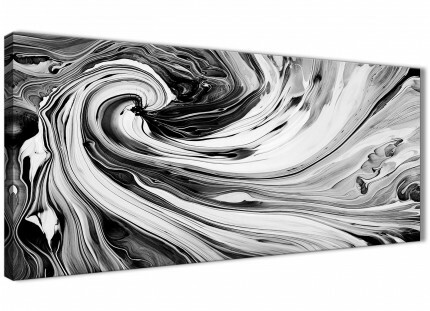 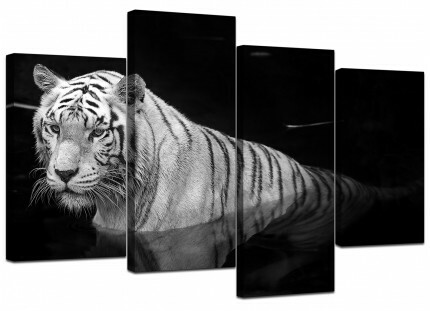 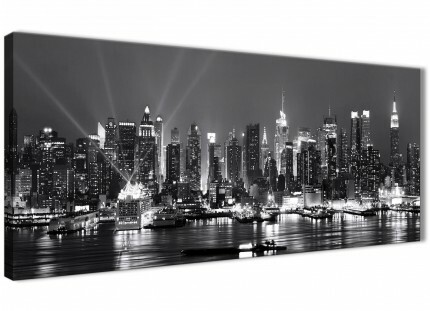 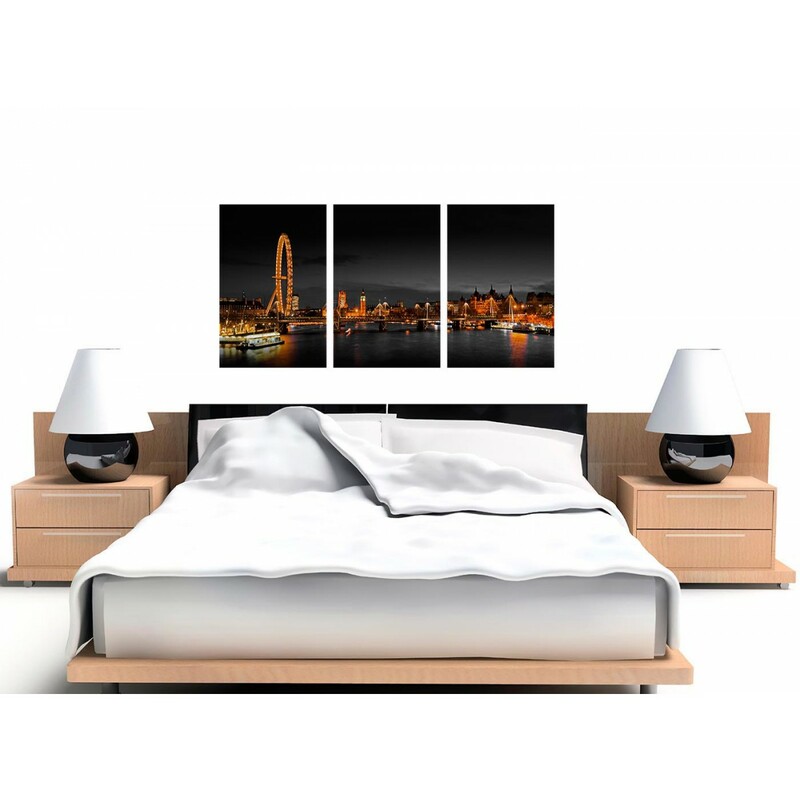 Canvases are printed at high resolution with with fade proof inks. 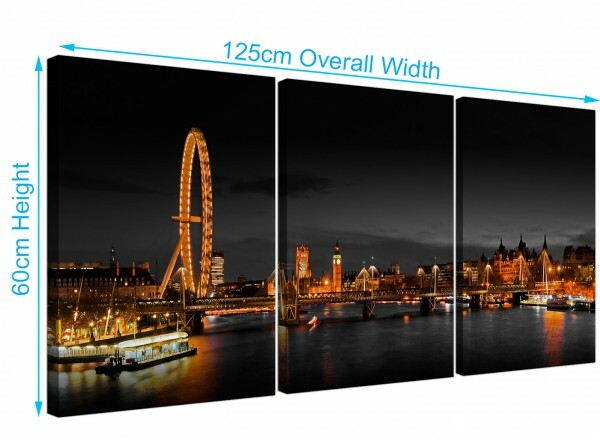 Measurements: 125cm wide x 60cm high (49.2" x 23.6") including gaps. 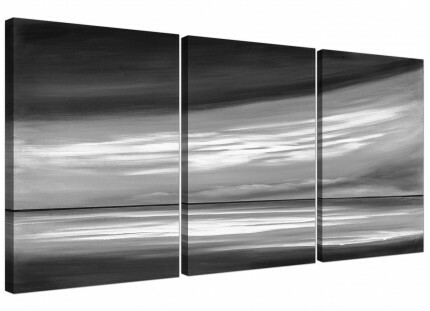 Each of the panels are 16" x 24". 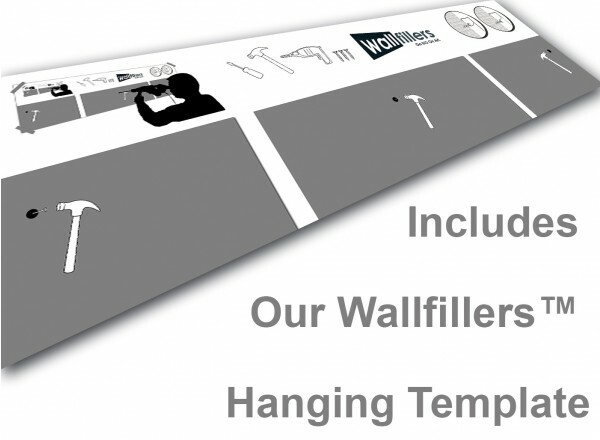 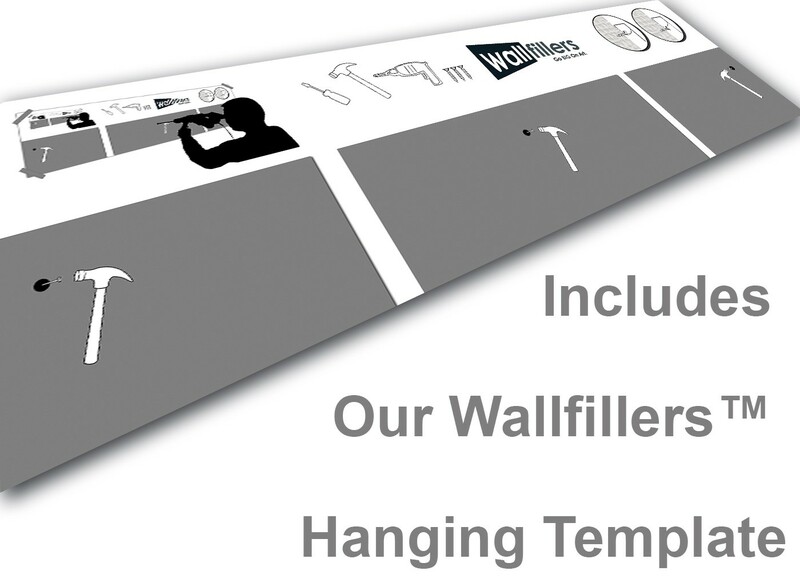 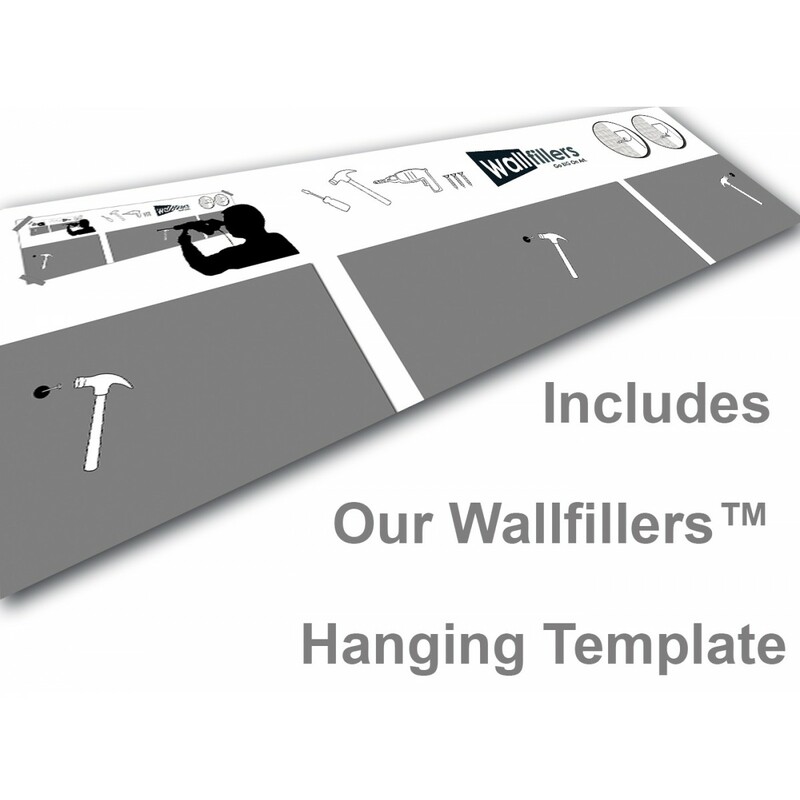 Wallfillers® recommend a space of 2.5cm between parts.